IMPROVISATION. Too much planning implies you have everything under control. Creativity challenges the status quo and gives you license to explore new territory. NONCONFORMITY. Twyla Tharp, dancer and author of “The Creative Habit; Learn it and Use it for Life,” suggests you stir up your creative juices by asking: Why do I have to obey the rules? Why can’t I be different? Why can’t I do it my way? These are impulses that drive creative people … and are questions the self-labeled “non-creative” people can ask themselves. Using creative thinking and an approach to your situation that is different from your norm can bring new ways of perceiving yourself. CURIOSITY. Maybe it is time to question the wisdom of always doing things the same way. Sometimes an imperfect balance can help you achieve more than perfect harmony. SPACE. 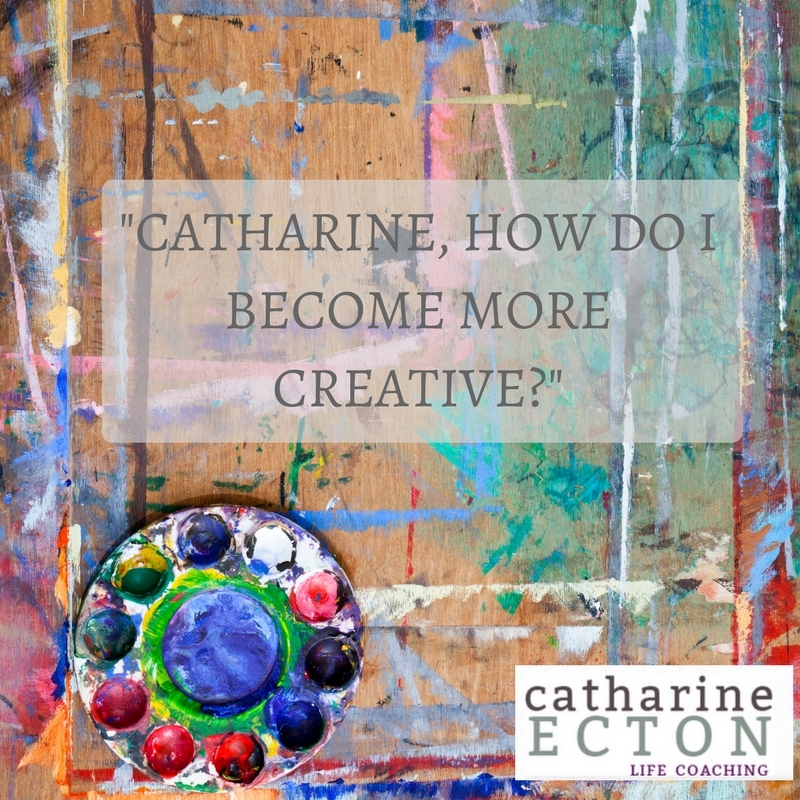 Are you giving yourself the “space” to be creative? It’s easy to fill our lives with things, obligations, a quest for more. Of course, we want to fill our lives with more beauty, love and joy. But the problem comes when our quest for more (even if the quest is for “more creativity”) is built on “not enough.” We rush around, stress ourselves out and fill our lives with excess and still feel a lack. No amount of doing or getting or “trying to be creative” will be enough because it’s based in lack and scarcity. If you feel you lack creativity, perhaps it’s time to cultivate the SPACE to be creative (a desk for your paintings, a quiet spot to write, a secret thing you’re working on that no one else knows about, a time of day or place in nature just to BE). No one present who does not belong – no observers. that you will go in to overtime. No goal other than to try things. No fear of failure; nothing will fail. No obligations other than to do your best. We entertain each other: I challenge them, and they challenge me. Each date completes itself. The next day is new. How do you see the conditions of your own perfect world? What must you have and what can you do without? Even this blog is a departure from my usual style … it is more creative! 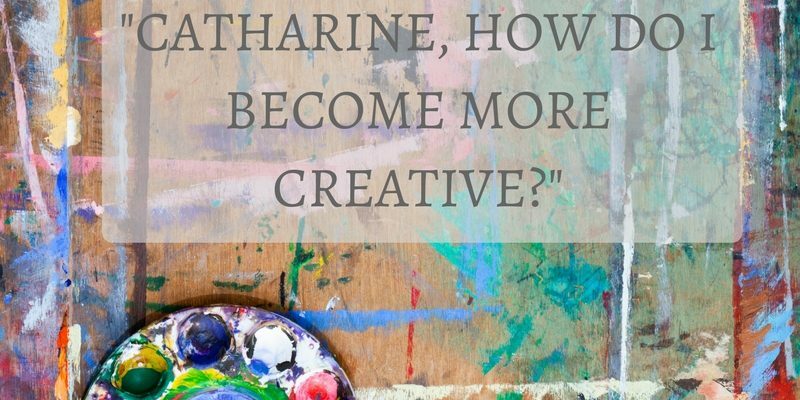 Thinking about creativity reminds me that we have the ability to make choices and build creativity on the solid skills of what we know and do best. Unlike self-help books or the Internet, I will work collaboratively with you. Unlike your friends and family, I’m an expert at the process of changing behavior … which is much more valuable than instructions or advice when you truly want to make a change. As a trained and certified Life Coach, my job is not to ‘instruct’ or ‘advise’ you. My job is to help you explore and come up with the best choices for you based on where you want to be, and develop a concrete plan with actionable steps to get there. I believe we can change our lives one day at a time. We aren’t broken and don’t need fixing. We have everything within ourselves to create the life we’ve always dreamed of. We are teachable. We can change. With the right tools, a few powerful questions and the intention to create something great, we can get to where we want to be. We don’t even have to know what “our best life” looks like, just that we want to live it. Contact me for a complimentary, no-obligations life coaching consultation and we can work on cultivating creativity together. Or use the Appointment Scheduler and pick a time that works for you. I coach 90% of my clients over the phone, and my DC-based Life Coaching clients have the option of meeting with me in person. I look forward to hearing from you.